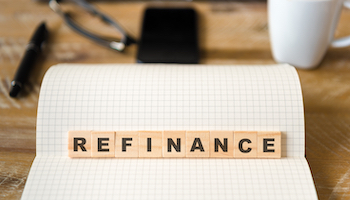 If you’ve been afraid to refinance because you don’t want to miss out on the lowest possible mortgage rates, here’s a deal you’ll want to examine. Mortgage lender Quicken Loans says that if you refinance through it by Dec. 31 and interest rates drop again within seven years, the company will pay most of your closing costs on a new loan so you can get the lower rate. The offer, called Rate Drop Advantage, "is a great program for consumers who typically find themselves on the fence, waiting to see if rates are going to move lower," company spokesman Aaron Emerson said. "This program removes their perceived risk as it eliminates the vast majority of the costs associated with refinancing a mortgage." Consumers are responsible for paying title costs and, where applicable, state tax stamps and escrow deposits. 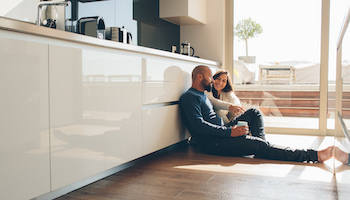 Rate Lock Advantage is available with all Quicken Loans mortgage products, including FHA, FHA Streamline, VA, YOURgage, 15- and 30-year fixed rates and ARMs. For more information, visit www.quickenloans.com/home-loans/rate-drop-advantage. Headquartered in Detroit, Quicken Loans Inc. operates in all 50 states, so anyone looking to refinance can apply. Let’s assume that you qualify and are able to refinance. How likely is it that you will get a lower mortgage rate in the future? Will you qualify? In the fine print, Quicken Loans says, "At the time of refinance, you must qualify per full credit/underwriting guidelines." These guidelines include minimum credit scores, acceptable debt-to-income ratios, good payment history and other standard requirements that apply to all loans. If your credit score drops, you lose your job, you end up underwater on your mortgage or you take on too much additional debt, you might not qualify to refinance and you will not be able to lower your rate. It’s also possible credit and underwriting guidelines could become stricter and prevent you from qualifying. Will interest rates fall? No one can predict what will happen with interest rates. But there's probably not much room to fall below today's near historic low 4.69% average on a 30-year, fixed rate mortgage, according to Interest.com's most recent survey of major lenders. Quicken Loans is advertising rates as low as 2.75% on its adjustable-rate mortgages. Compare its offers with the best mortgage rates from lenders in your area. Borrowers with very large mortgages could see a noticeable change in their monthly payments from even a small drop in interest rates, however. On a $750,000 30-year, fixed-rate mortgage, a drop in interest rates from 4.5% to 4.25% would lower the monthly payment by about $110. You can use our mortgage calculator to determine the monthly payments for the amount you want to borrow with this or any home loan.